Home » Knowledge Base » Point Of Sale » What’s so good about Mobile POS (mPos) system? First, what is a Mobile Point of sale ? Everything seems to be getting smaller! Technology progresses so rapidly and the possibility of conducting your business from wherever you are, on your smartphone is now a popular choice, especially for small business. The mobile point of sales that has the capability of taking credit and debit card payments as well as other types of card payments like PayPal. This type of system is usually affordable and convenient, which makes it very popular with small business. One of the first mobile POS system was created in 2009 by the same people who created Twitter. 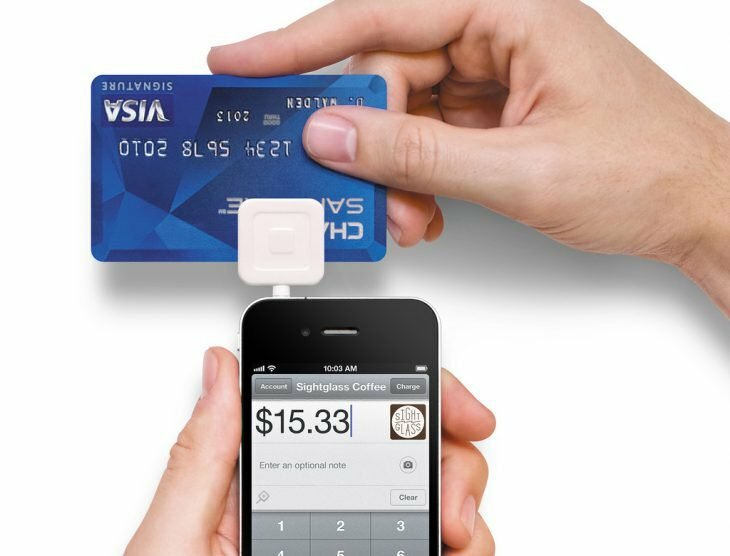 Square which is now one of the most popular mobile Point-of-sale system worldwide processes over 35 billion in transaction yearly. Mobile POS usually include a wireless device which could be a phone or tablet that can manage your point of sales. There are a multitude of emerging mobile POS on the market today, some are free and others charge a monthly fee, if you are not careful there could be hidden costs as well. Features also vary from one to the other so you have to carefully consider who you want to do business with. It is safe to say that Square is the best known and therefore we will use them as an example of what you can do with a Mobile point of sale system. First of all Square does not charge a monthly fee, this is something that has played a big role in their popularity. As they have progressed, Square have added some fancy features which show you how much you can do with a small pocket size system. 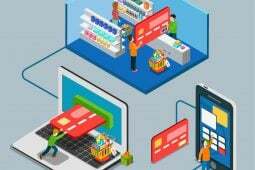 Some key features include invoicing, simple inventory management, an online store and also the capability of taking payments even when you are offline. Square gives you the choice to use their system as an iPad register instore or as a mobile phone externally. No matter how small your business is, it is really simple to get started on the Square mobile POS system . The appeal of having everything at your fingertips on a pocket sized POS is an amazing benefit especially for small retailers and restaurants. 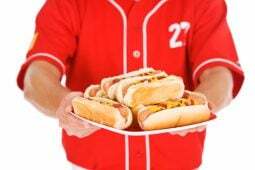 This system is not suitable for large retailers or for franchises who have a chain of stores. Freelancers and small businesses can however benefit from it. You can use Square with and iPhone, iPad or Android. They do not expect a contract or a monthly fee and they offer a free magstrip reader. The do however charge a flat rate for every swiped transaction. Can it offer all the features of a POS system? Mobile POS cannot compete with the features you get on a cloud based POS system. The data and reports stored online and the accessibility of a cloud based POS system cannot possibly be stored on a Mobile POS. If you look at cloud based POS systems like Revel, TouchBistro and ShopKeep, with all the features they have to offer, you cannot even begin to compare the two. Having every detail of your business on a cloud based POS with easy access allows you to make wise business decisions which is essential for efficient and profitable management. For larger stores, Mobile POS devices is not suitable. All the necessary hardware that needs to be synchronized on your tablets to manage checkout and payments cannot only be done with a Cloud-based Point of sale systems, as an example Revel, Lightspeed and ShopKeep which also have the ability to be linked with other features like accounting packages which give you a complete all in one data processing experience without the need for separate programs and repeated data input. The mobile POS comes with a stationery mounting system that can be detached for mobility around the store. This is particularly beneficial in the food industry were assisting customers at their tables is important. Although these pocket sized Mobile POS can be equipped with scanners they do not have the capability of being used with other peripheral hardware that POS like Revel, Lightspeed, ShopKeep and TouchBistro use. Basically you should not compare the one with the other. If you are simply looking for a cost effective, point of sales system, with limited features, you cannot beat the mobile POS. 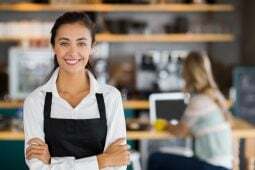 But if you need to have a full cloud base POS that will help you keep track of every aspect of your business including employee records, customer loyalty programs, online ordering and much more then you must invest in a good recommended cloud based POS like Revel, Lightspeed, ShopKeep and TouchBistro. When it comes to budget, the Mobile POS is a lot cheaper than the cloud based POS. With no upfront expenses, the appeal of the Mobile POS for freelancers and small businesses is obvious. Most of the Mobile POS don’t even charge a monthly subscription, you will however have to pay a percentage on all swiped card transactions. Extra features on the Mobile POS are normally charged for, and it is up to each individual to decide what features they need to have and how much they are prepared to pay. With cloud based POS systems you might have to pay upfront for hardware which is also an investment and follow up with monthly payments which could be anything from $60 upwards. You will however have the full support of the company you choose 24/7 and instant free upgrades. You are getting a lot more for your buck when you invest in a cloud based POS from companies like Revel, Lightspeed, ShopKeep and TouchBistro. There is no doubt that Mobile POS are very convenient. This pocket sized smartphone can do amazing things. If your priority is convenience and you are not interested in some of the features you can only get on a cloud based pos software, then a Mobile POS is definitely worth trying. 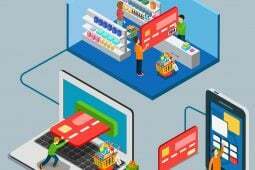 When you think about it, does a small retailer really need all the extras like customer loyalty programs, accounting packages, online ordering etc.? All a small retailer really needs is what systems like Square have to offer. A point of sales mobile system that they can use on the shop floor to work directly with their customers on a one to one basis. They will also get basic features like inventory, invoicing and minimal reports. The important thing is to be able to receive all types of credit card payments directly on this system. Yes it is convenient to have a pocket sized smartphone for all your transactions, but is it enough? With POS you still have the convenience of seeing reports and other data from anywhere at any time on your smartphone. Revel, Lightspeed, ShopKeep and TouchBistro can give you information on your sales, payments, employees, menus and inventory amongst other information in real time anywhere. You will also be able to serve your customers on the store floor with the mobile tablets or iPads, so in essence mobility is also available with the cloud based POS. Nothing can beat the security that the cloud based point of sale software have to offer. Mobile POS systems do not have as many security measures in place as POS. This comes down to one important factor, internet connections. When using Wi-Fi systems that are easier to hack into, Mobile POS are definitely more vulnerable. The difference with POS systems is that they connect to the internet through direct lines which are considered to be much safer. Another problem is that these pocket sized units are easy to steal. Having to replace it is only part of the problem and serious repercussions can occur when sensitive information of your business and clients falls into someone else’s hands. You cannot beat the security you will get from POS like Revel, Lightspeed, ShopKeep and TouchBistro as there is practically no risk of getting a virus or being hacked. Strict security measures have been taken and you can rest assured that your information is safe. Most of the Mobile POS systems have a pay as you go or completely free option so you do have the opportunity to try them before deciding on which one to use. These are smartphone POS and you need to make sure that you will be happy with this pocket sized POS. If you are looking for more than an iPhone system, then you are better off looking into the cloud based POS that come highly recommended as an example Revel, Lightspeed, ShopKeep or TouchBistro. They also offer mobility but not on a pocket sized smartphone. The other advantages of the cloud based POS are the many integrated features that will give the full package of software that you will need in order to run your business efficiently. Whatever the case may be, it is up to each business owner and freelancer to decide what is best for them. If you can try out these systems before you purchase, you will have a better idea of what you need from the beginning. Upgrading as your business grows is another consideration before settling on which POS you want to get.